L.G. 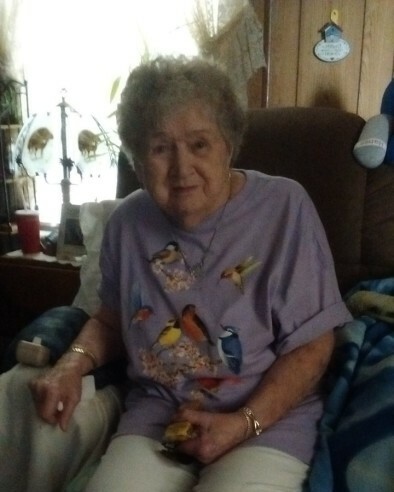 Starkey, 90, of Elliston passed away on Sunday, April 14, 2019 at her residence. A native of Virginia she was the wife of the late Herbert Hoover Starkey and the daughter of William Monroe Rea and Amilia Rea, both deceased. She was of the Baptist faith. She is survived by her four children, Patsy Jean Starkey, Martha S. Tolbert and husband Allan, William Buster Starkey, and Patricia S. Pruett and husband Clifford; three grandchildren, Michael Blankenship, April Angell, and Benjamin Pruett and wife Whitney; and six great grandchildren, Jacob Blankenship, Sara Blankenship, Melissa Blankenship, Emily Blankenship, Olivia Pruett, and Skylar Pruett.